*These products were provided to me for my honest opinion and review. How's June treating you so far? Mine's been great and I hope June's treating you exceptionally well too! I'm heading off to Bangkok for a work trip in a couple of hours (thank God the national curfew in Bangkok had been lifted) and since I'm done with packing, I figured it's time for another Nails Talk update. 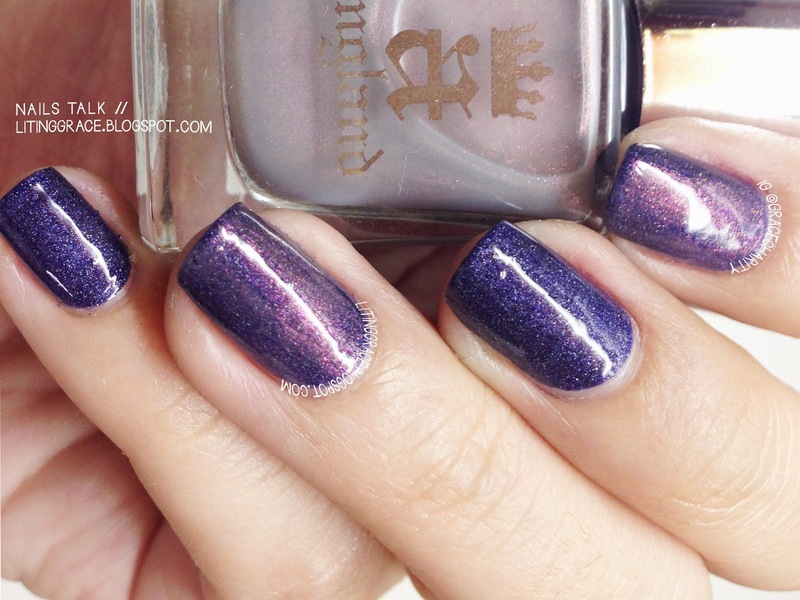 Today I have swatches of two polishes from A-England that I'm pretty excited to share with you guys and I hope you will like what you are going to see. First up is Hurt No Living Thing, a subtle shifting polish which is described as a "delicate muted shade fluctuating between dove grey and dusty pink to suggest to be gentle and kind to all creatures". Hurt No Living Thing is part of the Heavenly Quotes Collection and contains shimmers of grey and dusty mauve. 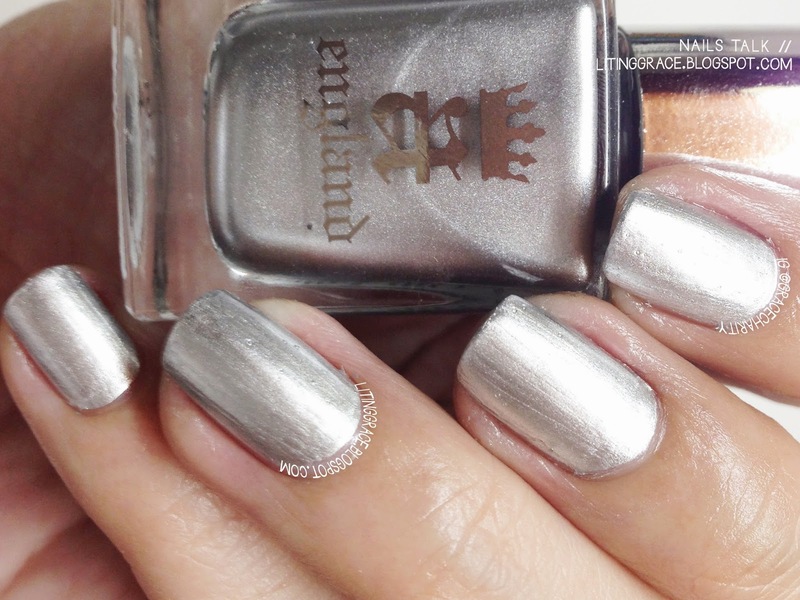 It's fairly sheer; you can choose to wear it on its own or layer it over other colors as a special effect top coat. I chose to wear it over A-England Tristam. The middle finger and pinky show Tristam on its own, the index and ring fingers show Tristam with one coat of Hurt No Living Thing layered over. I LOVE how it transformed Tristam and gave it a different effect. Spot the shimmer in the swatch above! I'm sure it will be fun to layer it over different colors too! 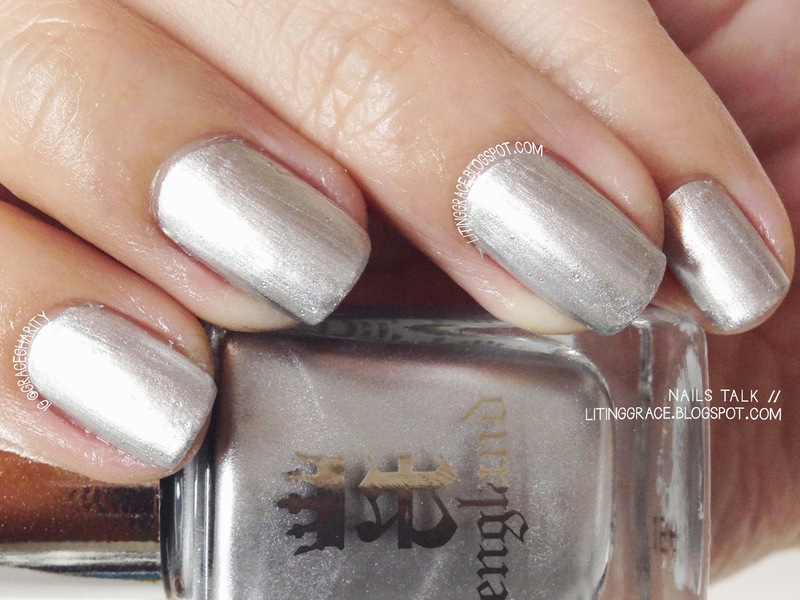 Up next is Excalibur Renaissance, the latest addition to the Mythicals Collection and is describe as a "majestic platinum silver". To be honest, it's my first time using a foil polish and I realized I'm not exactly a huge fan of it. You'll need a to maintain a really steady hand when applying to minimize the visibility of brush strokes and I'm sad to say that I didn't really do a such a great job. 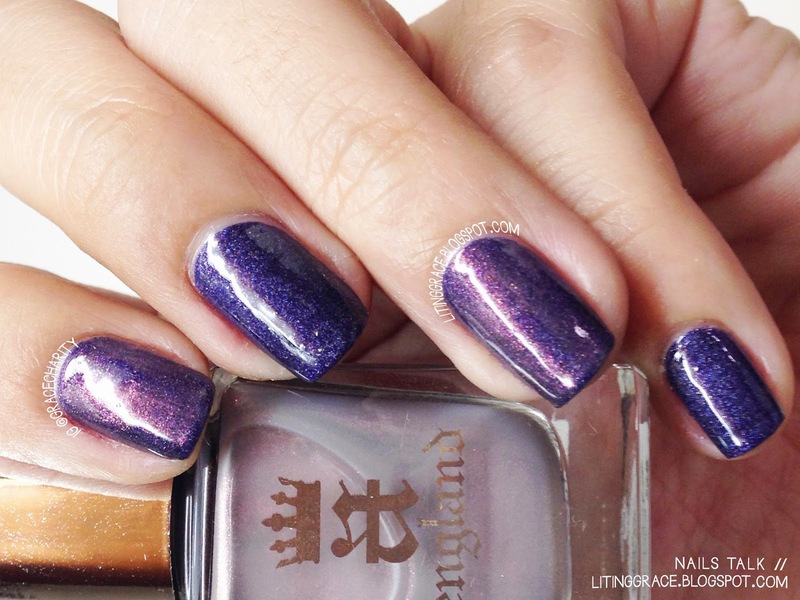 Formula for Excalibur Renaissance is excellent and it dries to a really metallic finish, so shiny that you won't require a top coat. You can see how reflective it is in the swatch above. Depending on your preference, you can get off with one coat but I chose to use two coats for my swatches. I have to say, both Hurt No Living Thing and Excalibur Renaissance are two great additions to the A-England family. Despite not being a fan of foil polish, I'm not giving up on it. Other reviewers had mentioned that Excalibur Renaissance is an excellent base for stamping, so I'll probably use it for stamping one of these days. 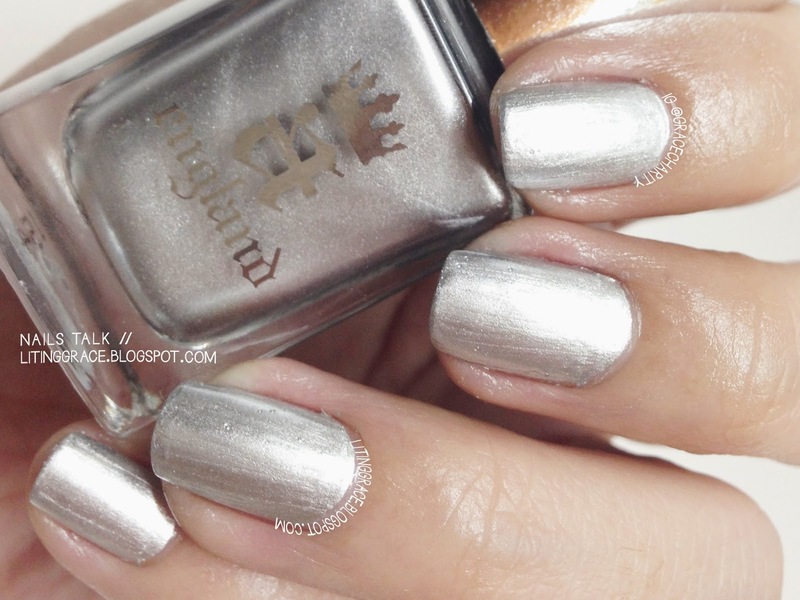 Both polishes are available on A-England's website and also that Mei Mei's Signatures. For more information on new colors and promotions, don't forget to follow them at the respective Facebook and Instagram accounts.